Top Level Systems are the leading suppliers of Mezzanine Floors and Glass Balustrade Systems in Glasgow, Edinburgh, Aberdeen, Scotland and throughout the UK & Ireland. 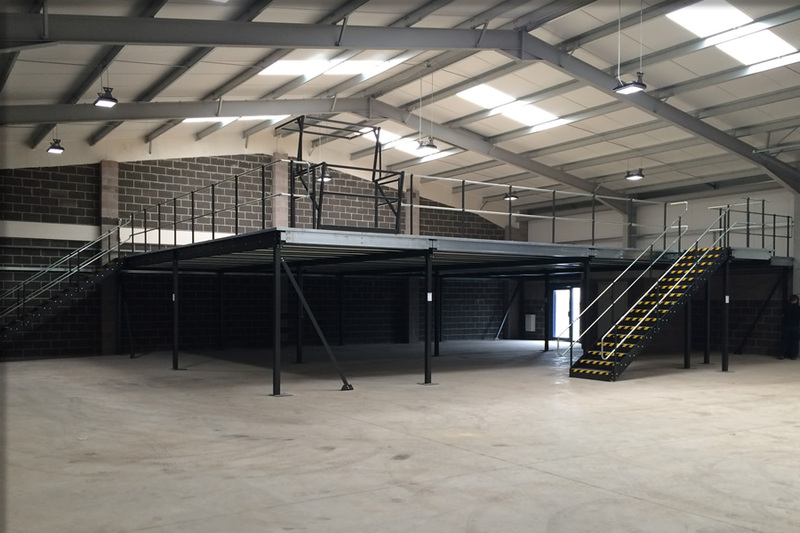 We provide mezzanine floors for a multitude of applications including Warehousing, Storage, Office, Production Areas, Retail Environments & Car Storage. To gain the extra space you need without the expense of relocating and with minimal disruption, mezzanine flooring utilises unused wasted headroom space within your existing premises to create additional space solutions. We offer an unrivaled design and advisory service and would be pleased to discuss your requirements with you at your premises or over the phone. Top Level Systems have a dedicated team dealing with domestic projects for the home and garden. Glass balustrading is tipped to be one of the biggest trends to hit the home improvement industry for many for many years and due to modern manufacturing improvements is more affordable than ever. Please get in touch with us to arrange a free consultation for your glazing project. We also manufacture & design a host of other products such as Cantilever Racking, Multi-Tier Racking Systems, Safety Barriers & bespoke items such as Heavy Duty Pallet Racking and Armco barriers as detailed in our products section. Our mezzanine floors are a high quality manufactured mezzanine floor system and are the most cost effective way of achieving additional floor space. 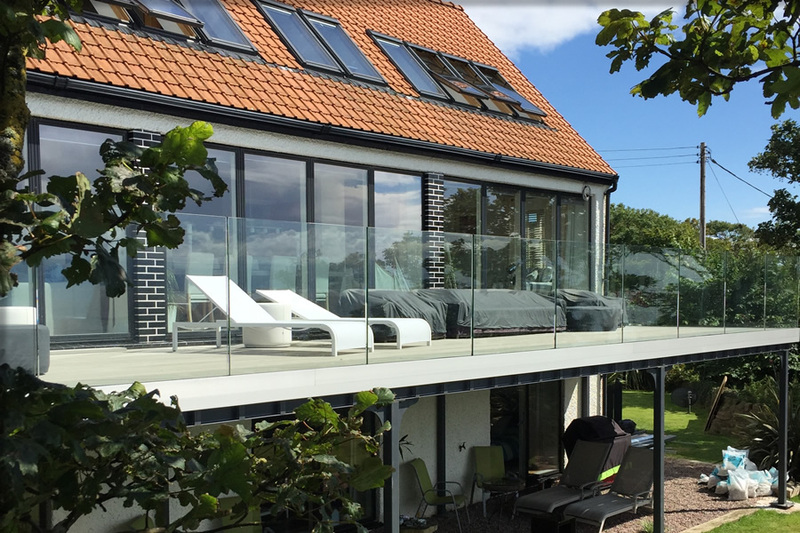 Transform your home and garden with a glass and stainless steel balustrade system that are perfect for adding a modern touch to your property. Get a budget quote for your Mezzanine Floor. We welcome enquiries from Glasgow, Edinburgh, Aberdeen, Scotland and throughout THE UK & Ireland. Top Level Systems offer an unrivalled design and advisory service on the manufacture and installation of bespoke mezzanine storage solutions and glass balustrade projects throughout the UK and Scotland. We would be pleased to discuss your requirements at your premises, please contact us by Telephone 01355 341 073, 0141 341 0322 or Email us. Top Level Systems also manufacture & design a host of other products such as Cantilever Racking, Multi-Tier racking systems, Safety Barriers & bespoke items as detailed in our products section. Areas we supply include Glasgow, Edinburgh, Aberdeen, Dundee, Inverness, Ayr, Paisley and Fife. Top Level Systems are the leading designers and suppliers of Mezzanine Floors and Glass Balustrade Systems in Glasgow, Edinburgh, Aberdeen, Scotland and throughout the UK & Ireland. Copyright © 2018 AS Glass & Stainless Ltd Trading as Top Level Systems.